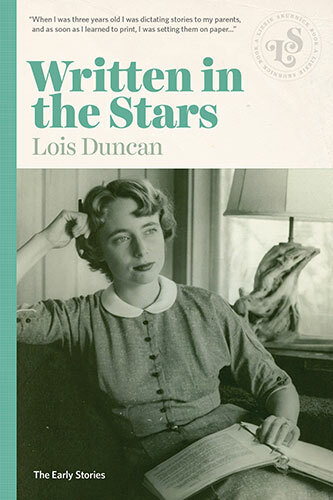 An extraordinary look at the genesis of a great writer’s career, Written in the Stars is a collection of Lois Duncan’s earliest stories. composed from the ages of 13 through 22. From family relationships, to the joy and angst of first love, to the struggles of a young soldier returning from war with PTSD, this unique book, whose stories originally appeared in magazines such as Seventeen and American Girl, is a marvelous portrait of the depth and breadth of Duncan’s youthful work. As a special bonus, Lois has followed each story with a brief essay describing her work and life at the time the story was written. Written in the Stars is a must-have addition to the library of work from this spectacular and groundbreaking young adult author.